Updates page. 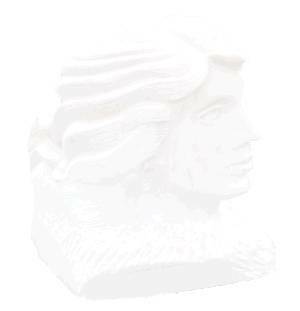 Check back often to see how our works are progressing! 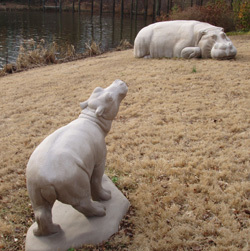 After many months of work, the hippos are done! 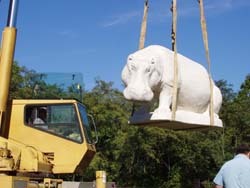 There goes mama hippo being transported to the waiting truck. Then the ride to the North Carolina Zoo. 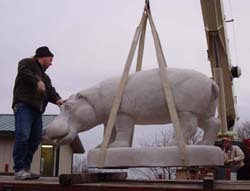 The juvenile is lifted onto the waiting truck. 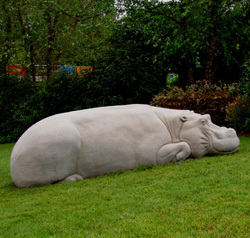 The male has been set at the North Carolina zoo. 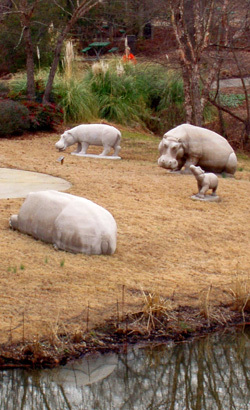 The group is situated next to a lake at the Africa entrance to the zoo. 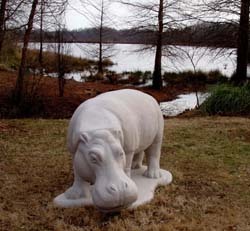 The sculptures demonstrate hippo behavior - they periodically come out of the water and sunbathe. and are protective towards their young. The juvenile finished. He has his mouth open getting ready to take a bite of grass.